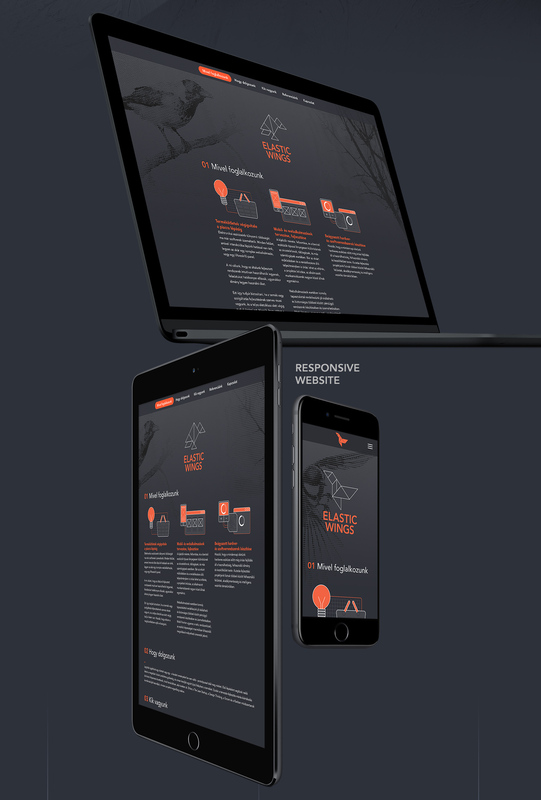 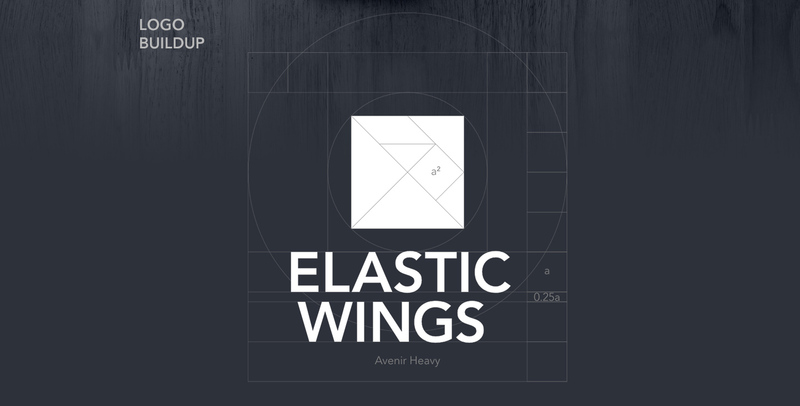 Online and offline identity for a startup specialized in solving complex software and hardware related issues. 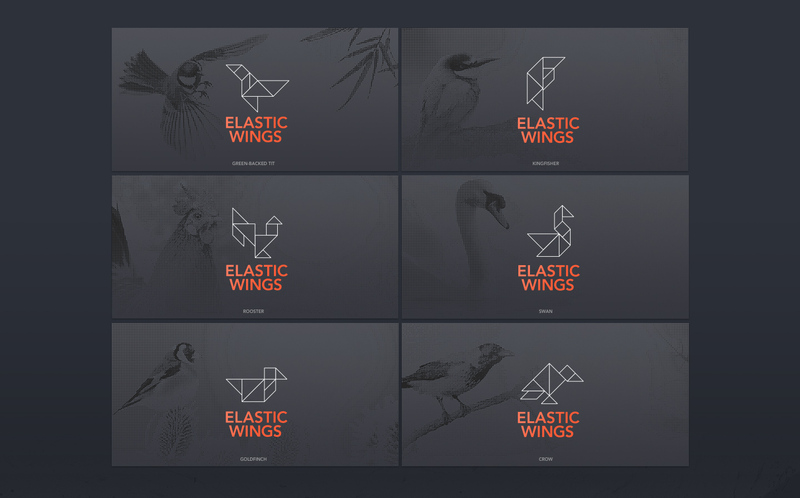 Create an identity for an IT company, that reflects their flexible problem solving approach and solution finding method in hardware and software development. 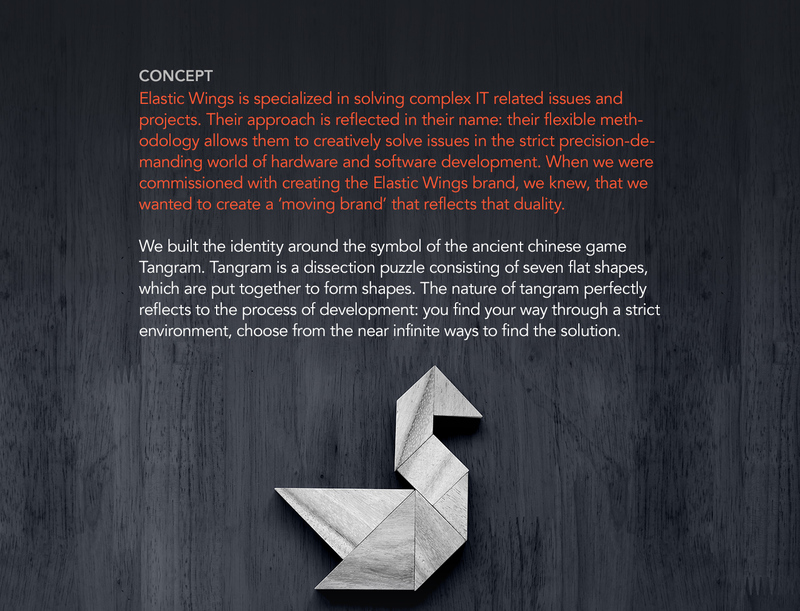 We created a 'moving brand' identity around the symbol of the ancient chinese dissection puzzle game, the tangram. 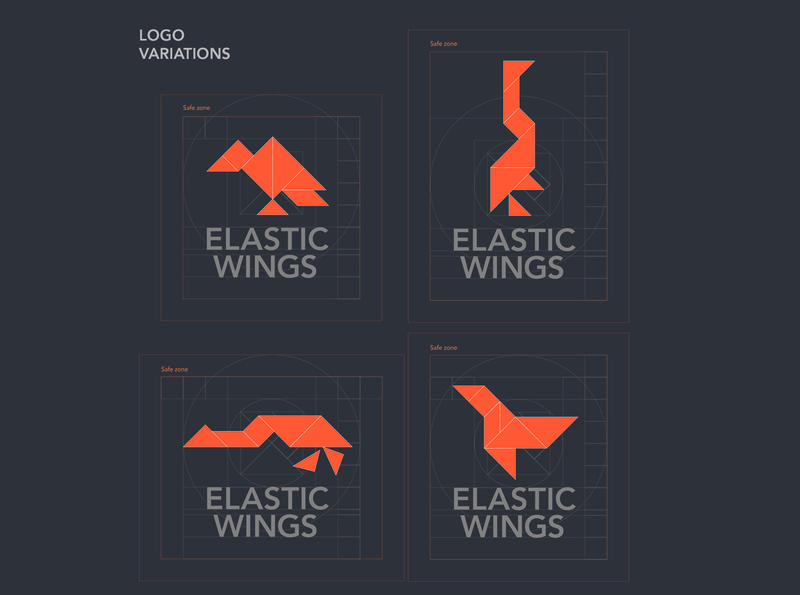 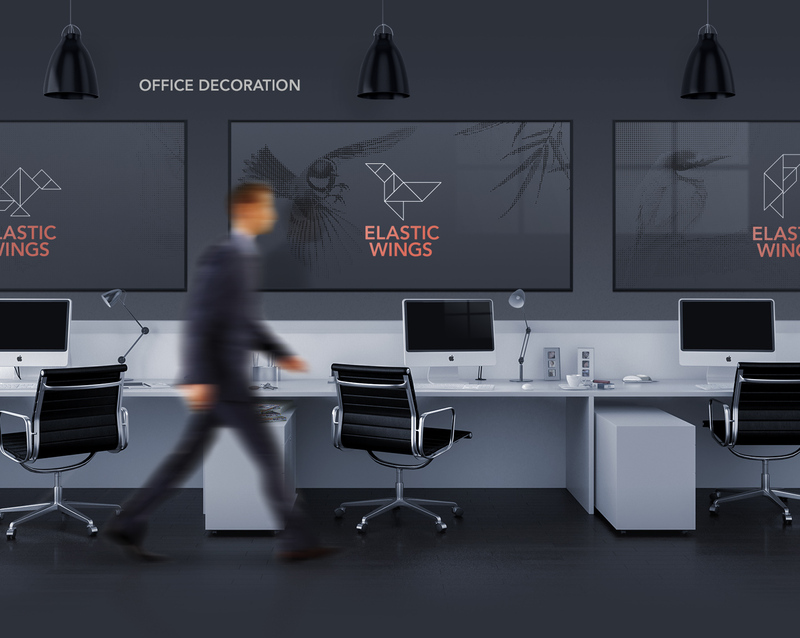 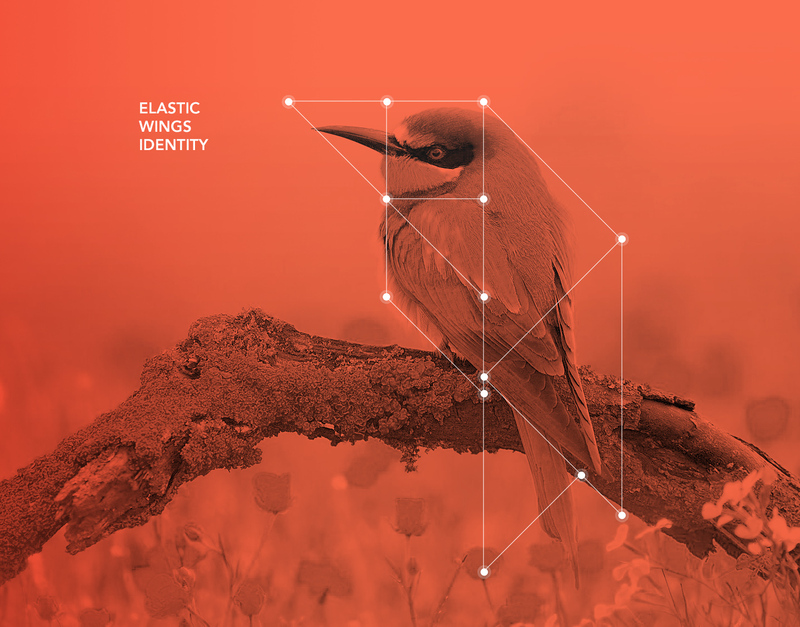 The seven flat shape enables an ever-changing logo, that can take the form of several different birds for different applications.